We help our clients uncover evidence throughout the massive ever changing world of social media. Whether the evidence be for civil litigation, businesses, or law enforcement purposes, rest assured we will uncover all the facts you need to achieve your goal. We work with employers and insurance companies across the state of Oklahoma to Employers to conduct video surveillance of workers comp claims and discover their activities. We understand this may be a difficult time for you. You suspect your spouse is having an affair, you’ve imagined the scenarios, revisited the conversations and you’ve asked yourself all the questions. Now, you want concrete proof; our investigators will help you find the information you need. We are a full service Tulsa Oklahoma private investigator services agency. Our agency offers our clients with first class professional investigative services throughout the state of Oklahoma. All of our private investigators are trained in the most up to date investigative techniques. Our investigators are also equipped with the latest in investigative tools and equipment. We specialize in civil & domestic investigations to help our clients win court battles. Insurance Defense investigations to help insurance agencies prevent costly insurance claims. Background investigations to assist our client’s find the information they need to make the right decision, and missing persons & skip tracing investigations to help locate witnesses, debtors, and loved ones. At Powerhouse Investigations we truly believe that all people are innocent until proven guilty. Our goal is to protect our clients by finding the information necessary to help build a strong defense in the court of law. Our president, Michel Morelli, has specialized training in different aspect of criminal investigation and criminal research to assist our clients with their needs. At Powerhouse Investigations, we work with our clients’ best interest in mind. We locate witnesses, procure witness interviews, and conduct comprehensive research to find, not only the evidence needed to succeed in court, to the evidence necessary to give peace of mind for both family members. At Powerhouse Investigations, we have the tools necessary to give our clients the best chance to a favorable outcome. 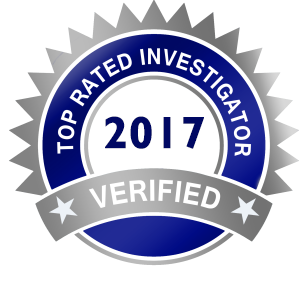 Request a free consultation from a licensed Oklahoma Private Investigators. Our confidential consultations will help you find a solution that will best fit your needs. You are guaranteed 100% client to investigator privilege throughout your case evaluation.